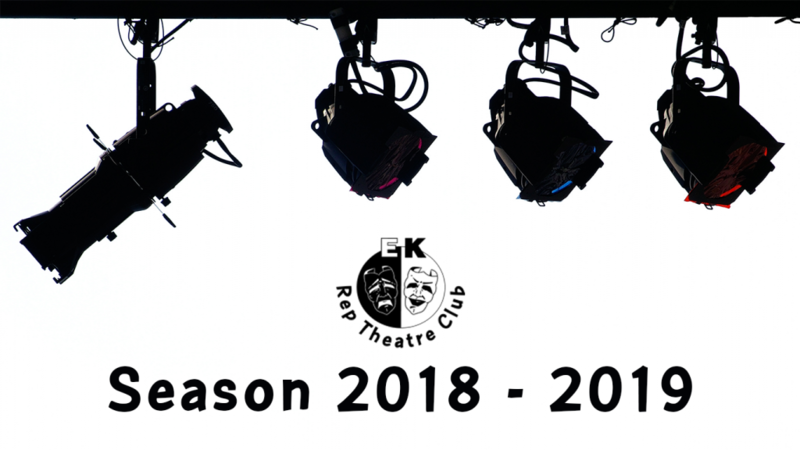 East Kilbride Rep Theatre Club is delighted to announce the productions for Season 2018 -2019. Here’s a peek at what we’ve got lined up for our next season beginning in August. A revised and updated version of John Godber’s classic play. Lucky Eric, Judd, Les and Ralph are the original men in black as they tell the tale of one night in a Yorkshire disco. All the gang are out on the town, the boys, the girls, the cheesy DJ, the late night kebab man and the taxi home, all under the watchful eyes of the Bouncers. Based on the hit film starring Judi Dench and Maggie Smith, and on the original short story by William J. Locke, Ladies In Lavender tells the tale of two sisters who live in a close-knit fishing village in picturesque Cornwall, in 1936. When a handsome and talented young Polish violinist bound for America is washed ashore, the sisters take him under their wing and nurse him back to health. However, the presence of the mysterious young man disrupts their peaceful lives and the community in which they live. Fe-fi-fo-fum, we announce our panto to come! Start spreading the moos! This December, the Village Theatre in East KIlbride becomes Little Glaikit – the town being terrorised by the evil giant Blunderbore! Will our hero Jack find a way to save the town, rescue Jill, do his chores AND keep his Snapchat streak up? Adapted for the stage by the author, Takin’ Over the Asylum is a hilarious, updated and profoundly moving adaptation of Donna Franceschild’s BAFTA-winning BBC TV series. Set in a Scottish mental institution, the play reveals hope and joy in the fragile beauty of the human heart. When Ready Eddie McKenna, Soul Survivor and double glazing salesman, arrives to reinvigorate St Jude’s defunct hospital radio station he turns more than the ramshackle station upside down. The whisky drinking would-be DJ meets the 19-year-old bipolar Campbell, schizophrenic electronic genius Fergus, OCD Rosalie and the elusive self-harming Francine. Fighting against illness and perception Eddie and the patients of St Jude’s strive for their dreams to be accepted.